Do I need a vehicle pre-inspection to purchase an auto warranty? Assuming you’re purchasing or leasing from a dealer, in many cases, A-Protect doesn’t require a pre-inspection. However, we reserve the right to pre-inspect your vehicle within 90 days of the purchase. If you’re purchasing or leasing a vehicle privately, please contact us as we may require the vehicle to undergo a pre-inspection. 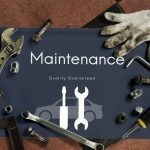 Do I have to follow a maintenance schedule? You must either maintain your vehicle in accordance with your manufacturer’s maintenance and service schedule or you must have your vehicle in for service every three months or 5,000 kilometers, whichever occurs first. Be sure to keep all your original receipts. You can make up to 5 claims. 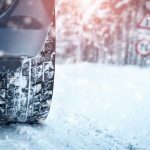 The total liability over the term of this agreement shall not exceed the Canadian Black Book value excluding taxes, and a single claim liability will be limited to half of the value of the vehicle at the time of the repair. In case of multiple issues diagnosed at the same time, all repairs will fall under one claim and are subject to a maximum liability limit. Is my service agreement transferable? Yes, you have the option of transferring your service agreement to another private party at any time during the contract term. For more details, please contact A-Protect prior to the transfer. It’s also worth noting that not only is an A-Protect auto warranty transferable and effective in helping you to save thousands on potentially costly car repairs, but it could also help increase your car’s resale value! Is my service agreement renewable? Yes, you can renew your agreement providing that your vehicle meets our current underwriting guidelines. The renewal process is quick and easy. Simply call our offices and, regardless of whether you’ve made any claims, you could be eligible for a savings of up to 60%! When does my service agreement take effect? Your service agreement comes into effect right away. This warranty must be activated by the customer within 20 days from the purchase date, in order to receive a warranty confirmation letter. What happens if after I’ve taken my car in for repairs, I experience the same problem? Am I responsible for any extra expenses? Repairs come with a 12-month warranty. If the same problem occurs within that period, then it’s fully covered by the warranty with the exception of shop supplies and the deductible. How do I file a claim on my extended car warranty? Simply call the A-Protect Claims Centre during regular business hours (Monday-Friday, 9am-5:30pm EST) toll free at 1-866-660-6444. Or, if you’re in the Greater Toronto Area, please call 416-661-7444. Explain your situation and be sure to write down the claim number given to you by one of our claims representatives. Then, take your vehicle to any of A-Protect’s authorized repair facilities. 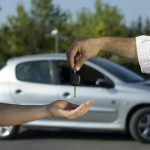 Do I need to go back to my original dealer for repairs under my used car extended warranty? No. At A-Protect we believe in outstanding customer service. As a result, we do everything possible to make your experience quick and smooth. If you need a repair, simply call the A-Protect Claims Department to get your claim number and at that point, an A-Protect claims representative will guide you through the process of starting a claim. How is the deductible applied? You only pay one deductible fee per repair visit. Therefore regardless of how many items are repaired in any given visit, you’ll still only pay one deductible fee.